A reflection for the 11th Sunday in Ordinary Time, Year B. The readings are Ezekiel 17:22-24; Psalm 92; 2 Corinthians 5:6-10 and Mark 4:26-34. It’s Father’s Day today and all I can think of is…. The World Cup! I love how people decide who they will cheer for during the World Cup. Of course you will likely first cheer for your home country, but if your country didn’t classify (sorry Italy!) then, how do you decide who to cheer for? 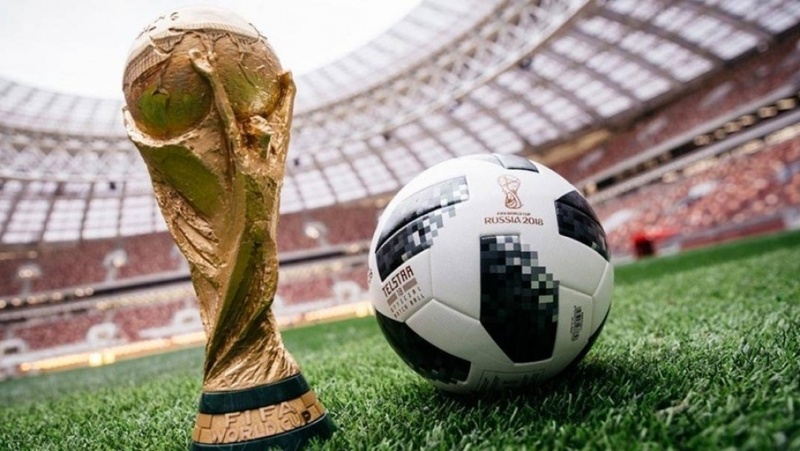 If I were to ask you right now, who’s going to win the World Cup, you’d be divided into two groups: The people who go with the usual suspects; the big and powerful soccer nations: Brazil, Argentina, Spain, Germany, France, England and Portugal. We can maybe even include Sweden, Belgium and Uruguay in that group. On the other side (I’m in this group) we’d have all those who cheer for the little guy. Wouldn’t it be great if Colombia won the World Cup? Or Costa Rica? Peru? How about Nigeria, Croatia or Poland? What about Iceland? How many were cheering for Iceland when they scored on Argentina yesterday or when that Icelandic keeper stopped that penalty shot by Lionel Messi? I asked one of my nephews who he was going for and he said Japan. I didn’t even know Japan was in the World Cup. Apparently he always cheers for Japan. And it’s because we like rooting for the little guy, for the underdog. Because we are the little guy. And if the little guy can win the World Cup, then it means that we can also win. The people listening to Jesus in today’s Gospel were also the little guy. I think they could relate well to what Jesus is telling them about the Kingdom of God. They were poor and oppressed. They were also the people of Israel – not the biggest and mightiest nation. Israel was the smallest nation! And remember, they had been slaves in Egypt and then they were conquered by the Babylonians, then the Assyrians, and were now occupied by the Romans. But they knew very well the prophecy from Ezekiel, which was today’s first reading. It doesn’t matter who we think is big and powerful, because God decides who’s big and powerful and it’s not what we may think. But Jesus is also telling them something new. Because the mustard tree is actually not the biggest and mightiest. It is not like the majestic cedars that Ezekiel speaks about or that we hear about in today’s psalm. It’s not even a tree; it’s a shrub. The little mustard seed will one day be a big plant – not the biggest and strongest, but one that the birds love because it has lots of branches and leafs and it gives them lots of shade and shelter for their nests. God decides what’s big and powerful, what’s important and of value. Jesus is also telling us something else: The Kingdom of Heaven is not about the end result. The Kingdom of Heaven is about the getting there, about the process. It’s about the journey, about the work. It’s about the growth. This is hard for me because I am very goal-oriented. I like to have a plan and a clear map. But St. Paul tells the Corinthians that we need to walk by faith, not by sight. That means we have to do our part, yes; do what’s necessary, and then let God do the rest. We need to let go and let God be in control. It’s sort of like parenting. Parenting is not about having grown up children – that’s the result. Parenting is about the journey, about the growth; about the work. And sometimes we are not really in control. Last summer we bought some flowers – gladiolas I think, but we probably planted them too late in the season and they never came up. The bunnies and squirrels probably dug them up and ate them. It was too bad, ‘cause they were nice flowers. This year, we were surprised to find these tall leafy plants come up: our gladiolas! We didn’t water them or anything. We thought they were gone. I’ve been told that’s impossible because gladiolas would not survive the winter. But I’m pretty sure it’s them. We didn’t have to do anything; just plant them… God did the rest. That’s why God is The Father. God is the Father who plants the seed. He sows the seed and then provides for it and protects it so that it can grow. We just need to get out of the way. This Sunday, as we celebrate Fathers – this whole month, as we watch way too many soccer games, may we remember that God is The Father. Let’s remember that He decides what’s big and powerful. Let’s remember to get out of the way, to let go and let God be in control. Let’s let Him be Father. Let’s walk by Faith and not by sight. And maybe Iceland will win the World Cup!